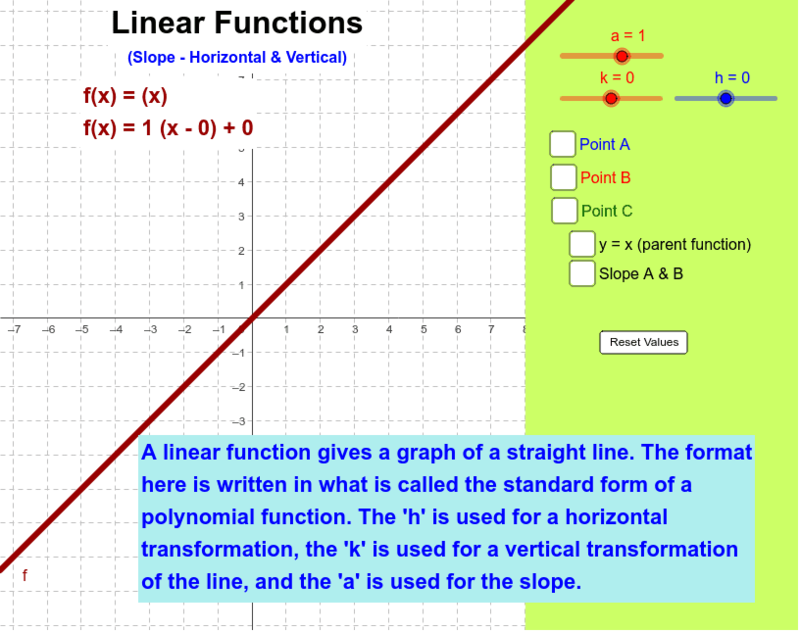 This applet will demonstrate the basics of linear functions. Slider a will vary the slope of the line. Slider h will vary the horizontal translation of the line. Slider k will vary the vertical translation of the line. The check boxes will turn on up to 3 points for you to calculate the slope of the line. The slope check box will allow you to check your slope. The y=x check box will graph the parent curve with the current line. The full linear equation is displayed at all times.